With crowdfunding sites like Indiegogo and Kickstarter now an established part of the economic landscape, you’ll probably have seen a few articles about successfully crowdfunded projects. 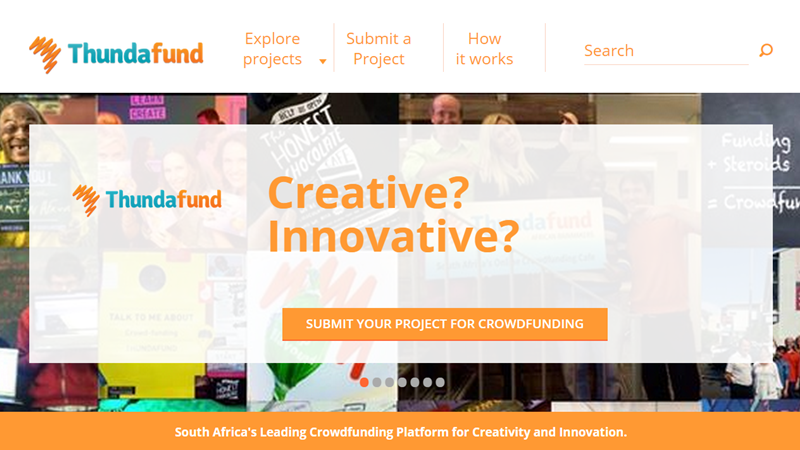 But is it possible to kickstart a business through a crowdfunding platform – specifically, a South African crowd funding platform? In short, the answer is yes, but it’s not as cut and dry as that. Anybody has the power to start a campaign to make some quick money but as Daniel Shaw, Community and Marketing manager of South African crowdfunding platform, Thundafund explained at MakerCon 2015, the real value of crowdfunding isn’t just obtaining financial backing for for your idea. As an entrepreneur you want to find out if your idea has any merit and as a result, if people are willing to part ways with their hard earned money for your product or service. Crowdfunding is a better gauge of market interest than say, asking friends and relatives for help. This way, you can find out if you truly are onto something new and exciting or if you’re going to fall face first into failure, without having to lose huge sums of money. 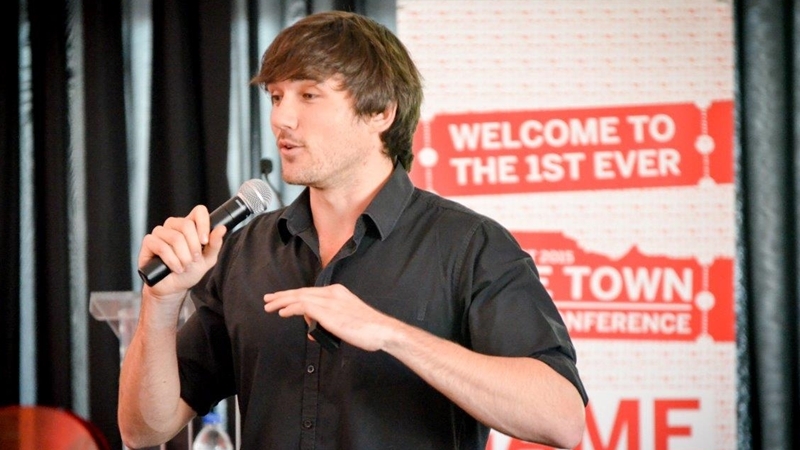 Shaw explained that there are four distinct types of crowdfunding services. The first group is made up of donation-based platforms such as Backabuddy. These are platforms where people are able to make a donation for your project without any expectation of a reward. The second group Shaw talked about was debt-platforms; these are crowdfunding sites where you can request money from investors who you will need to pay back, with interest after a certain time. Third, Shaw mentioned equity-based platforms such as Our Crowd which let you source investors that will then become shareholders in your business. Finally, he talked about rewards-based platforms such as Kickstarter and Thundafund, which are the most popular. These platforms give you the option to ask for varying values of funding in return for the product, service, and in some cases, simple recognition for backing the idea. Entrepreneurs should and often do, choose to go with a rewards based platform. The first and most obvious reason for going this route is that businesses are able to raise money and sell a product rather than having to hand over a percentage of their business or accumulating mountains of debt before actually starting up. While your business is raising money you’ll be able to identify the influencer market. These are the people are that are going to buy the product or use the service the business is offering. Using traditional methods would mean having to put together focus groups, conduct surveys and test your product on the market. The internet and social media serves as a great way to do some of this research at a low cost. This was a golden thread running through Shaw’s talk and most talks of the day. The internet being used as a vital tool to makers, consumers and entrepreneurs alike. Listing your project on services such as Thundafund gives you access to even more tools to better your business. For example the service sends a database of backers to the person who started the project giving greater insight into the market your business is trying to break into. Market and product validation are essential to building a business and a brand. Crowdfunding makes this easy because if there is no market the idea won’t take off – and in that instance, it’s back to the drawing board again. Similarly, crowdfunding platforms can give businesses a better understanding of the public opinion of aspects such as brand name or brand identity. This sort of information can be invaluable to a little business trying to make a name for itself. But how does this relate to businesses that are already established? Crowdfunding takes the once secretive process of production manufacturing and conceptualisation makes it, for want of a better phrase, open source. Investors want to know about the manufacturing or conceptual process and how far along a project is from completion. The days of consumers just being content about a product is on the shelves are gone. Consumers want to know everything there is to know about a product or service before paying for it and this disruption is good news for everybody involved. It means that competition among brands is encouraged and innovations are actively pursued lessening the likelihood of markets becoming stagnant. Crowdfunding is not just here to help makers and creators or to help start-ups get their ideas from concept to market, it’s here to shake up how we spend our money and how we view commerce. The idea of crowdfunding is nothing new but the way we are using it is changing business for the good of the consumers and businesses as well. 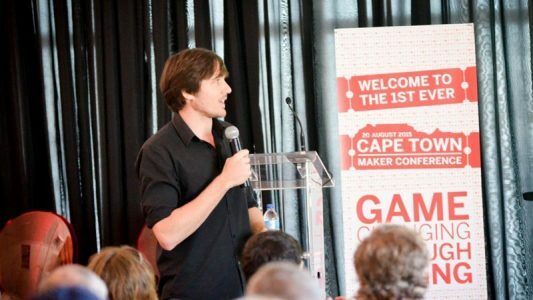 makers.htxt.africa is attending Maker Faire Cape Town as a guest of CAD House and Sahara Systems, one of South Africa’s leading suppliers of 3D printers and maker gear.